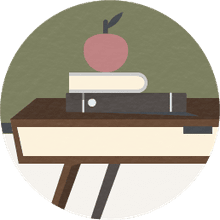 As you may know, a lesson plan is a guide for teachers to present objectives that students will accomplish throughout the day. This keeps the classroom organized and ensures that all material is covered adequately. That includes concluding a lesson plan, a step that many teachers may overlook, especially if they are in a rush. However, developing a strong closure, which is the fifth step in writing a strong and effective 8-step lesson plan for elementary school students, is the key to classroom success. As we have previously outlined, defining the Objective, Anticipatory Set, Direct Instruction and Guided Practice, are the first four steps, leaving the Closure section as a method which provides a fitting conclusion and context for the student learning that has taken place. Let's explore this a bit more. What is Closure in a Lesson Plan? The closure is the time when you wrap up a lesson plan and help students organize the information in a meaningful context in their minds. This helps students better understand what they have learned and provides a way in which they can apply it to the world around them. A strong closure can help students better retain information beyond the immediate learning environment. A brief summary or overview is often appropriate; it doesn't have to be an extensive review. A helpful activity when closing a lesson is to engage students in a quick discussion about what exactly they learned and what it means to them now. It is not enough to simply say, "Are there any questions?" in the Closure section. Similar to the conclusion in a 5-paragraph essay, look for a way to add some insight and/or context to the lesson. It should be a meaningful end to the lesson. Examples of real world usage can be a great way to illustrate a point, and one example from you can inspire dozens from the class. Look for areas of confusion that students might experience, and find ways in which you can quickly clear it up. Reinforce the most important points so that the learning is solidified for future lessons. The closure step is also a chance to do an assessment. You have a chance to determine whether the students need additional practice, or you need to go over the lesson again. It allows you to know that the time is right to move on to the next lesson. You can use a closure activity to see what conclusions the students drew from the lesson to make sure they are making the appropriate connections to the materials. They could describe how they can use what they learned in the lesson in another setting. For example, you can ask them to demonstrate how they would use the information in solving a problem. Just make sure you have a selection of problems ready to use as prompts. The closure can also preview what they students will learn in the next lesson and provide a smooth transition to the next lesson. This helps students make connections between what they learn from day to day. Discuss new things that the students learned about plants and animals. This should be a lively conversation, possibly in small groups or as the entire class depending on what is best for your particular group. Summarize the characteristics of plants and animals and how they compare and contrast. Perhaps have students write examples on the board or in their notebooks. Ask what information from the lesson the students will find important three years from now and why. This may be challenging for younger grades, however. Ask the students to summarize the lesson to explain to someone who missed the class. Give them a couple of minutes and then either have them turn them in for you to read or have a few presented to the class. Write several yes/no questions of key points from the lesson. Then pose them to the class for a quick thumbs up/thumbs down for each one. These yes/no questions will show how well the class understood those points. If there is confusion, you will know which points of the lesson need more clarification and reinforcement.